Further boosting the hype around the 2008 vintage, Bollinger is now revealing its La Grande Année 2008. It is the first vintage Bollinger to be released in the new bottle and comes dressed with a new, chic label. Ripe fruity yet at the same time elegant nose with stylish restraint promising great longevity. Golden delicious apples, biscuits and lemon alongside complex spicy tones. Lovely creaminess on the fresh and linear palate that finishes with a gentle bite of mineral salinity. The tension and playfulness on the palate is its most attractive feature. Long and intense, yet elegantly light-weight palate finishing fresh with its 8g/l dosage. Really satisfying in the 75cl bottle (95p-97p), which benefits from the new bottle shape with narrower neck for emulating the “magnum effect”. 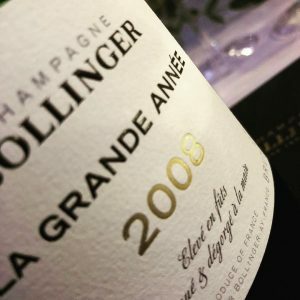 But as always at Bollinger, the larger formats just sing bringing an attractive, complementary reductive toasty complexity. And of course the mousses in both magnum (96p->98p) and jeroboam (97p -> 99p) are ultra fine. The new, stylish label addresses some of the key pillars of Bollinger vintages; ageing in oak barrels, hand-riddling and hand-disgorging. 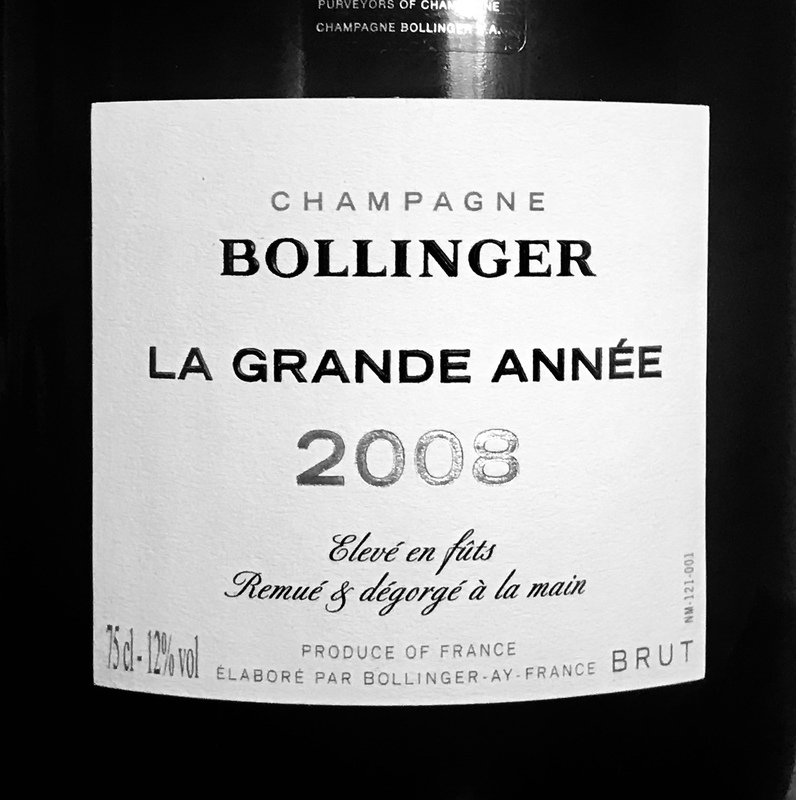 One of La Grande Années finest specimens ever, this should have been a bigger quantity vintage for Bollinger but the financial turmoil of 2008 interfered. And probably plenty will be held back as R.D, so prepare for a shortage of it.